Well-known Brazilian website "Omelete" claims that a The Last of Us sequel will hit PS4 in 2015. The Last of Us, Naughty Dog's latest effort and one of the undisputed best games of 2013, may have already have a sequel in the works, according to Well-known Brazillian website "Omelete". 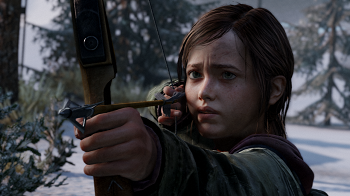 The website claims that "The Last of Us 2" is already in production, and will be released in 2015 for the PlayStation 4. You may recall that The Last of Us' development overlapped with Uncharted 3, causing the developer to split into two different teams. If a sequel is planned for 2015, it would be most likely that the other Naughty Dog team is working on it, and has been at least for a few months. Omelete is quite a reputable website in Brazil and really has no reason to lie, but its source is cited as an "anonymous insider," and we all know how they can turn out. I would take this one with a grain of salt for now, especially considering Uncharted 4 is reportedly also in the works for a PS4 release next year. Left Behind, the first piece of story DLC will release for The Last of Us next month, and will help expand the game's backstory. A full-fledged sequel starring Joel and Ellie seems a bit odd considering the first game's rather definitive end, but another story focusing on different characters in the same universe would certainly fit the bill. "Thanks for reaching out. However, we do not comment on rumor or speculation."